Back in July, when Frontier Airlines added 4 new routes from Buffalo to Florida, I wrote a blog post that suggested they may not be worth the drive once you add in the cost of bag fees, vs flying from Toronto. But today they're offering some fares that are even cheaper, and it starts to get back into the 'could be worth it' range. At the very least it's hard to ignore a $58 CAD roundtrip flight, to anywhere. ^^ The prices above are about $3 USD higher than what you might initially see on the Frontier Airlines website when you're selecting dates. They jump up a few dollars on the next page. They are all non-stop flights. Frontier Airlines is an ultra low cost carrier, where you pay extra for everything (including carry-on and checked luggage). The prices above are the prices with a personal item only. It needs to fit under the seat in front of you. Add about $75 CAD to the prices above for a roundtrip checked bag. Look for prices that are about the same as what I've listed above (or $3 less). The prices on the Frontier Airlines website are in $USD. 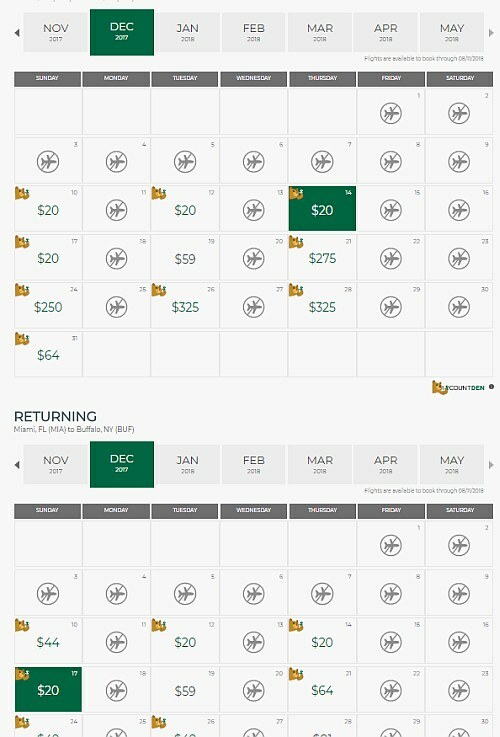 Update 1/31 - Frontier is now showing flights from Buffalo to Miami, Florida on certain dates in February and the first week of March for $56 USD ($69 CAD) roundtrip. There are also some cheap ones to their other destinations in Florida. - try dates in February and March. 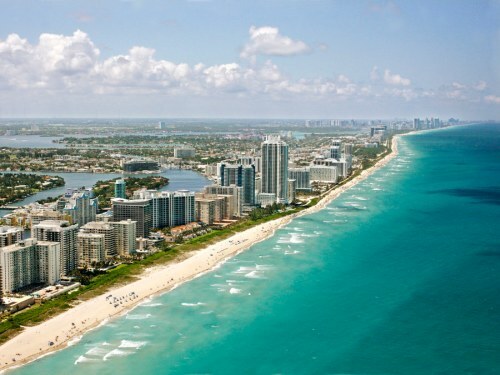 Frontier Airlines adds 4 new routes from Buffalo to Florida - but at $168 CAD roundtrip, are they worth the drive? flight deals, united states, orlando, florida, mco, buffalo, buf, miami, mia, north america, fort myers, rsw, tampa bay and tpa.